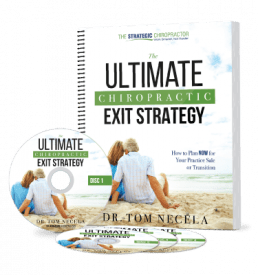 I originally went to one of Dr. Tom’s seminars about 5 years ago when I was first starting practice and I literally knew nothing. 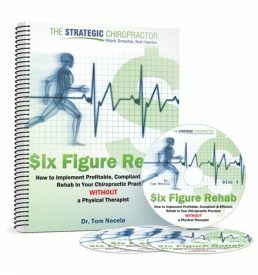 5 years later I was in a place where I had a steady volume of patients, things were moving along well but I started to realize that this whole chiropractic/owning a business/managing a staff thing was really challenging. I was starting to feel the “burn” of practice and I needed a boost. The money that was coming in was good, but I knew it could be better. My staff was very personable and lovely to our patients, but they weren’t collecting as much as I knew we should be. My billing manager was barely making our monthly goal, and the write-offs she was taking were excessive. I remembered how impressed I was by Dr. Necela, so I gave him a shout to ask for help. Tom has given me that boost that I was looking for. He has coached me through my toughest year in practice with staff changes, billing changes, and expansion of my practice. We have maximized our productivity in patient scheduling, collections over the counter, and more effective billing procedures. My volume of patients has increased and so have our profits. The best part about this experience was that Tom wasn’t trying to stick me in a cookie cutter coaching pattern. He learned/adopted my way of practice, and then told me the changes I could make to really rock it.